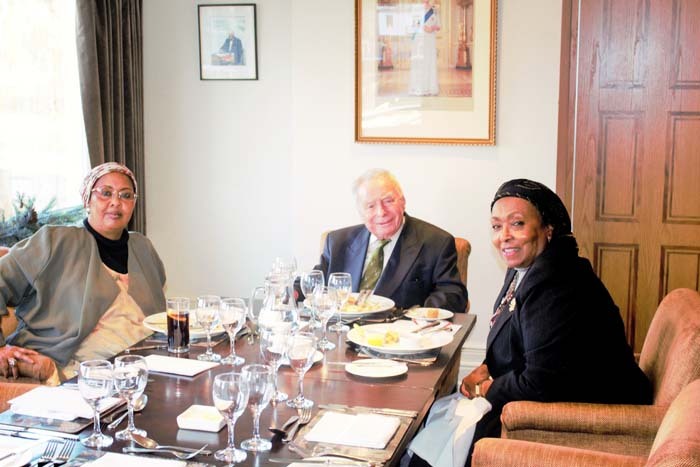 Brigadier Malcolm Page, Chair of Henley’s Borama Friendship Link met two distinguished ladies from Somaliland at Leander Club on Friday. Dr Edna is the daughter of a ‘dresser’ in the British Somaliland Protectorate medical service, who sent his daughter to Djibouti when she was about seven years old to be educated as there were no girls’ schools in the Protectorate at that time. Later, Edna came to UK for nursing and then midwife training. Matrimony followed and her first husband was Prime Minister of Somalia, based in Mogadishu. But a revolution resulted in her uncomfortable imprisonment. The former Protectorate split from the Mogadishu Government and Edna, after remarrying joined the United Medical Services and was in charge of the WHO operations in Djibouti. Retiring from this post, she moved to Hargeisa and decided to establish a maternity hospital. This has flourished and is now the Edna Adan University and Hospital, which has trained over 230 health workers; pharmacists, public health workers etc, as well as nurses and midwives. Her nursing graduates include three who have become doctors and one who is now a surgeon. 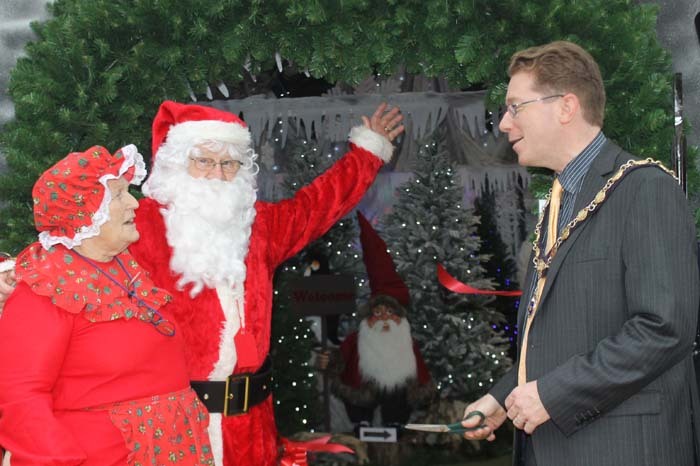 Edna was not only the founder and principal donor for the hospital, she is now the Chancellor of the University. Apart from her hospital related activities, Edna somehow found time to serve as Somaliland’s Foreign Minister for four years, campaigning energetically for the international recognition of Somaliland as an independent country. She has been awarded three hon PhDs by American Universities, is a Hon Fellow of Cardiff University, Honorary Degree as Health Care pioneer from South Bank University , London where she started her nursing training and holds the Legion d’honour and also a Djiboutian decoration. 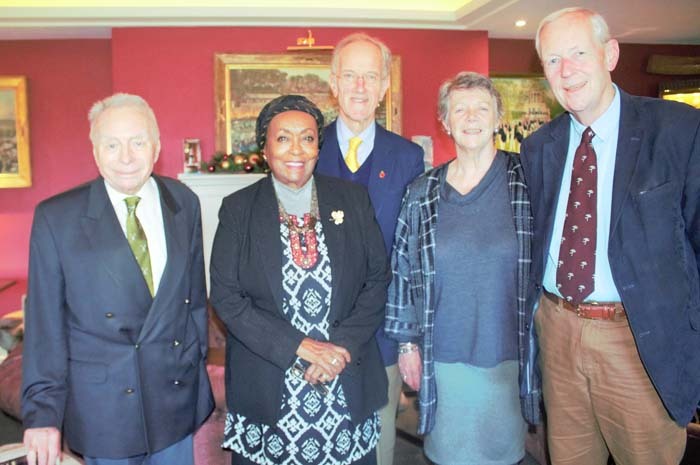 Brigadier Malcolm, Dr Edna and Rhoda were joined by former Henley Mayor, Dr Noel Snell who helped start the Borama Friendship Link and has visited Somaliland twice (once when Mayor), Councillor Jane Smewing and Edward Sandars.